Stay engaged with Business Phone. Let's create the perfect phone solution for your business. At Execulink we realize that each business is unique. We understand that a Phone service that might work perfectly for one business, might be completely wrong for another. We pride ourselves in helping you choose the Phone service that best suits your business’ needs. Although we are not able to offer our Business Phone services online at this time, rest assured we are working on it! Please call us at 1-866-706-2050 and we will be happy to discuss some of your options with you. 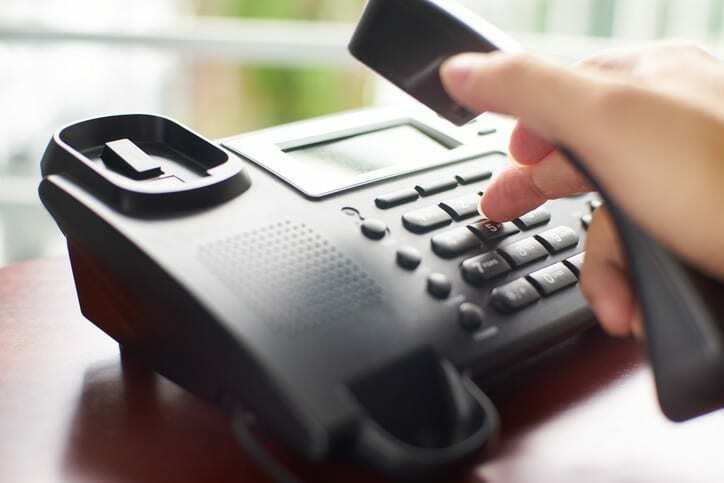 Whether you require a hosted phone solution or simple analog, we have a solution to meet your needs. Learn about our different Phone solutions and what is best for your business. A digital phone service is a reliable and efficient way of sharing your voice and data over one line and offers a suite of features not found on traditional analog phone service. This solution is a great deal for businesses that have a need for 1 to 8 phone lines. The quality and reliability that you have come to expect from a traditional analog phone line. For business telephones, fax machines, alarm systems and dial-up modems. Additional features: Call Display, 3-Way Calling, Do Not Disturb, Speed Calling, Visual Call Waiting, Voicemail, Automatic Recall, Call Forwarding Basic, Line Hunting, Selective Call Rejection, Find Me/Follow Me, Call Transfer. Voicemails and emails can arrive as attachments in your inbox, advanced features such as Selective Call Forwarding and Fine Me Follow Me use the system to search out employees, reducing the workload of your customer service representatives and receptionists. Additional features include Auto-Attendants, Call Queues, Line Hunting, Call Blocking, Music on Hold, and more. We can work with you to figure out which options work best. Here are a couple of our most popular options below. No matter the distance, your business can call anywhere around the world with a competitive long distance plan from Execulink. Select from a variety of North American flat rate or per minute plans. Consolidate all of your Canadian offices on a single plan for unified billing and reporting. Set-up Account Codes to identify and track calls by user or department, limit authorized long distance calling and abuse, or assign Account Codes to projects or clients for tracking or re-billing purposes. Wherever your customers may be, you can encourage them to call you without an added cost to them. Grow your business by providing a single number to call from anywhere in Ontario, across Canada or throughout North America. Select from a variety of flat rate or per minute plans. Combine your toll-free usage with your Long Distance package for even greater savings. Customize your own toll free vanity number based on availability. Select the geographical region – Ontario, Canada or North America. Offer toll-free calling to your fax lines to further increase your level of customer service. Extend the service to traveling employees to make it easy and cost-effective for them to reach the office.